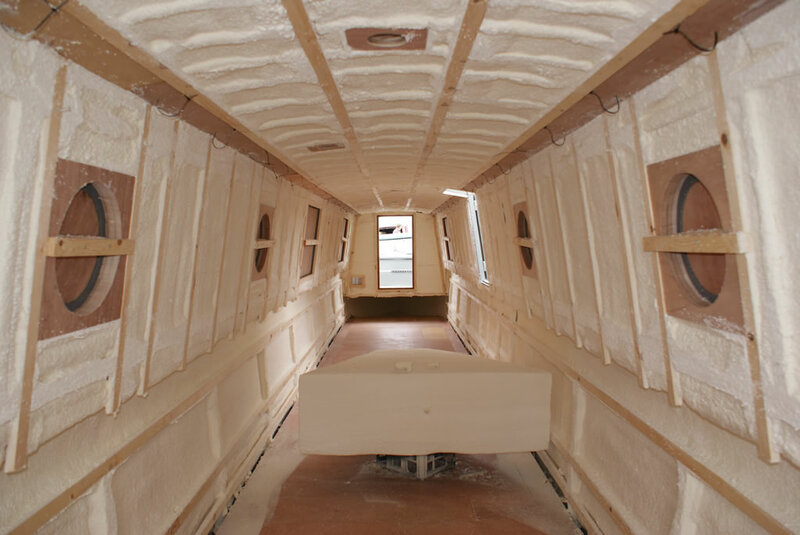 Spray foam insulation provides rapid efficient insulation with no mechanical fixings. 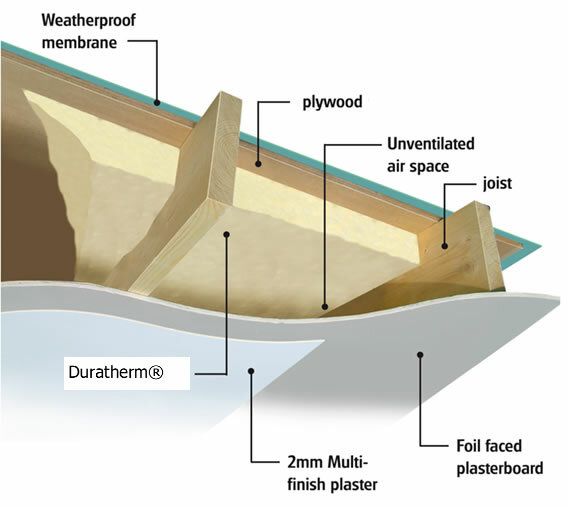 Excellent adhesion to any surface ensures seamless thermal insulation for even complex and iregular structures. 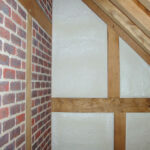 Spray foam provides both structural stabilisation as well as draught proofing. 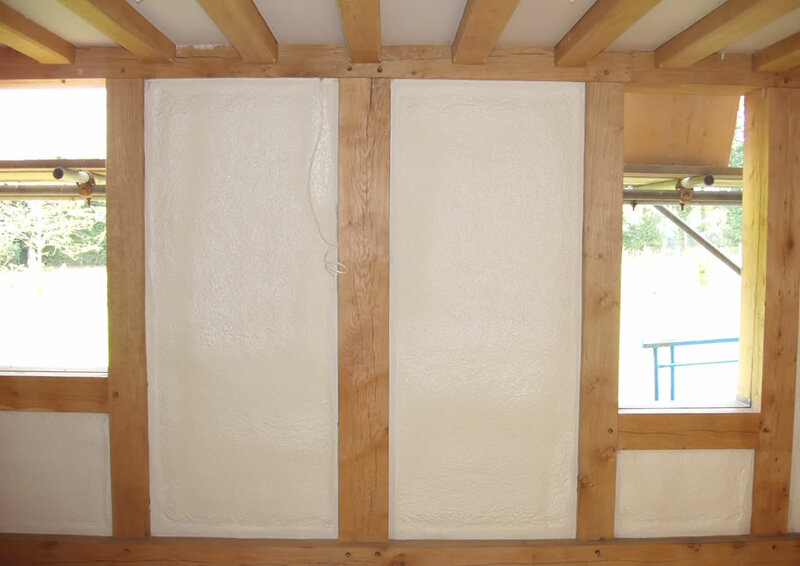 Robust and durable Isothane’s range of spray foam insulation offers high performing long lasting solutions. 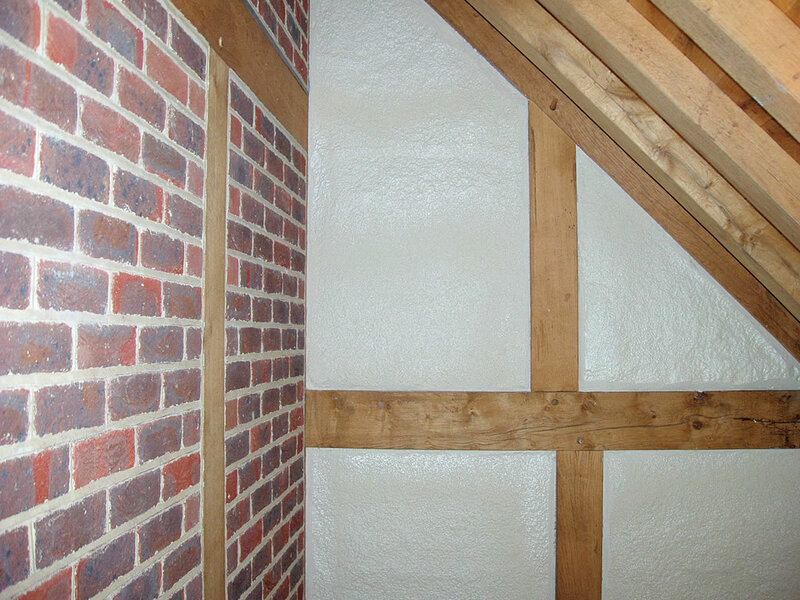 Our spray foam insulation range, includes our LABC accredited and BBA approved spray foam Duratherm®, which provides the best thermal insulation, draught proofing & building stabilisation in one application. 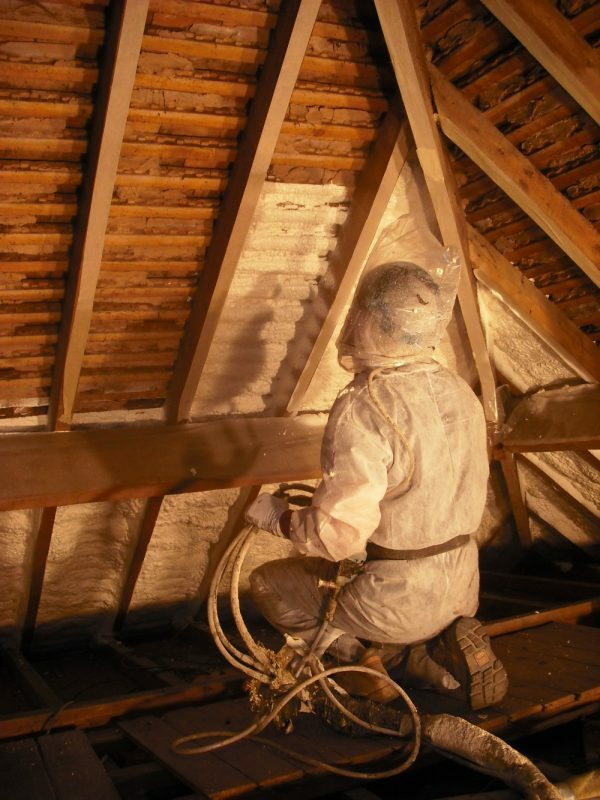 In addition to its thermal properties, spray foam also provides a degree of sound insulation by reducing the transmission of air borne sound. 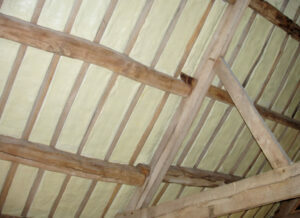 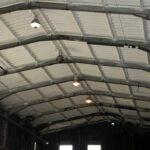 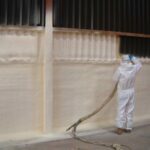 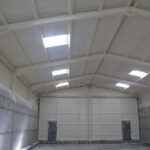 Our polyurethane spray foam insulation products are suitable for domestic, industrial and commercial properties. They are also suitable for other structures including marine applications. Their closed cell structure means that they provide buoyancy and waterproofing where required and are ideal for use in areas prone to flooding or wind driven rain. 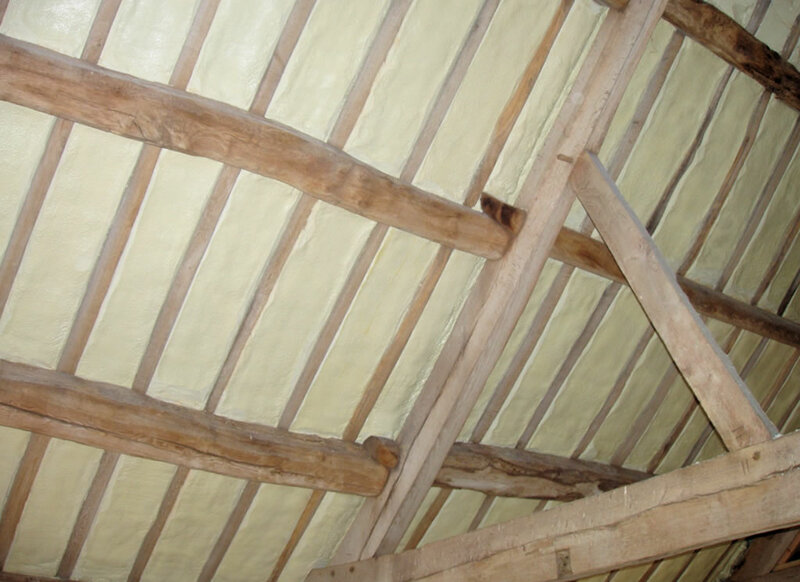 The application method enables them to be used to insulate irregular shapes and surfaces. All our spray foam insulation projects are carried out through Isothane’s nationwide network of approved contractors. 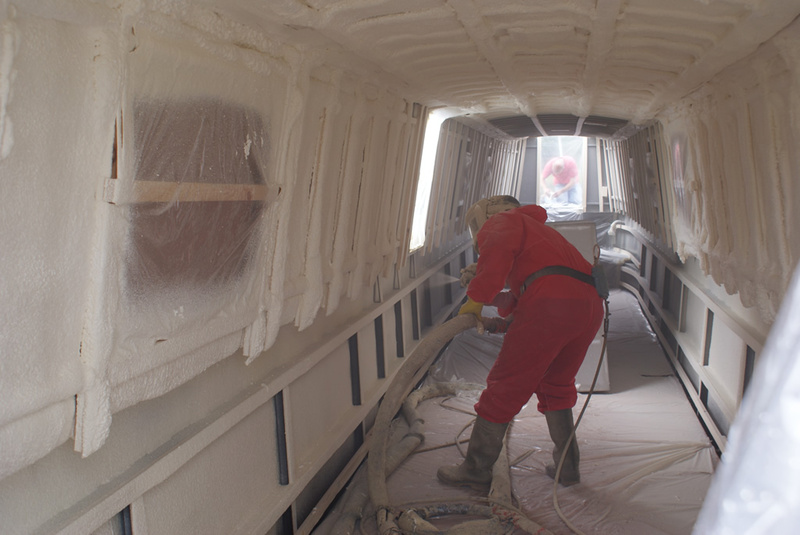 Using specialist spray machinery and with the support of our experienced in-house technical services team our contractors make sure you get the result from the product you want. 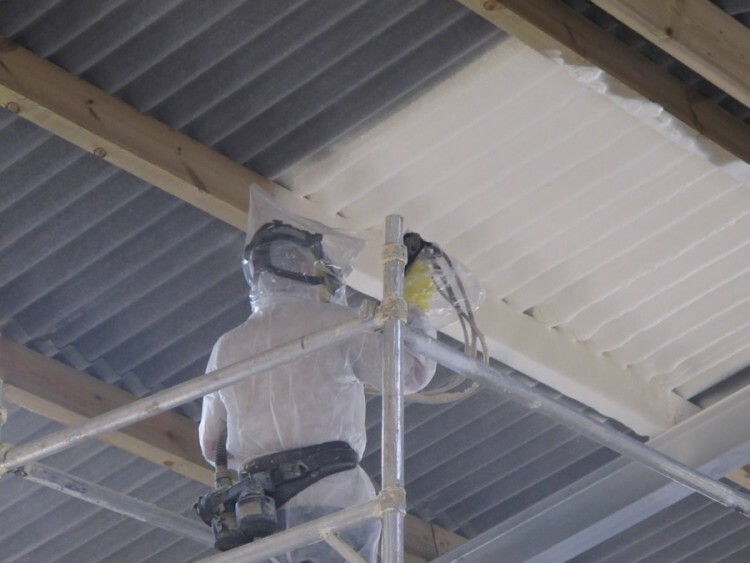 Our technical team are always on hand to help specifiers with the information they need to make the right decision and to put customers in touch with our approved contractors. Roof insulation & renovation at a the fraction of the cost of reroofing without the disruption and with the benefits of eliminating draughts and insulating, thereby reducing fuel bills. 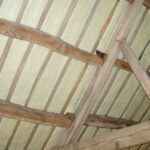 Prevention of the problems associated with nail fatigue including slate and tile slippage. 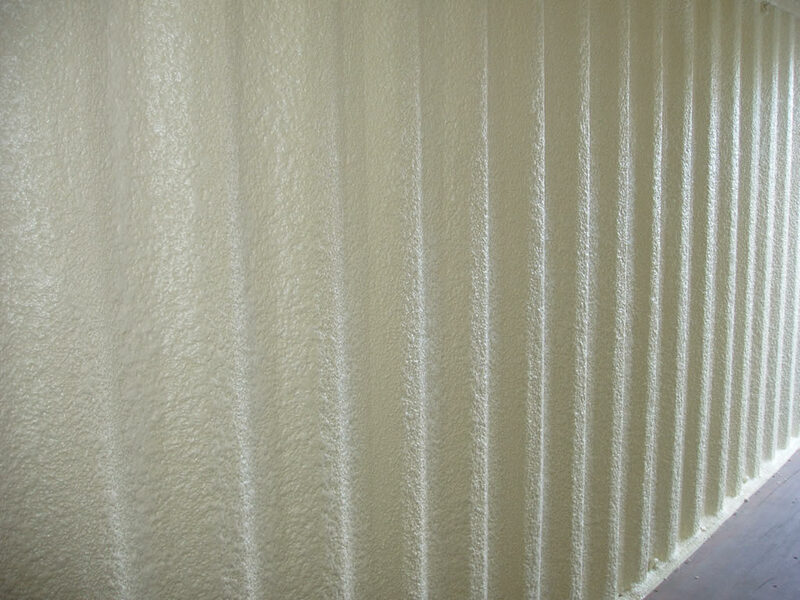 Spray foam insulation prevents the ingress of wind driven rain, snow and dust creating a dry and easy to keep clean usable space. 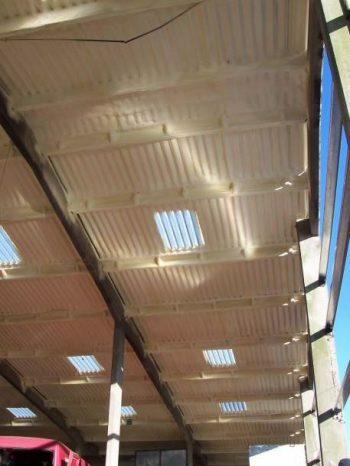 Reduces surface and interstitial condensation and their associated problems. 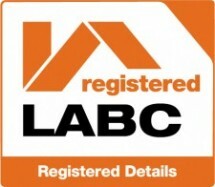 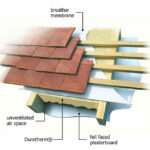 Can be applied onto breather membranes, conventional felt and flat roof decks improving headroom in loft conversions. 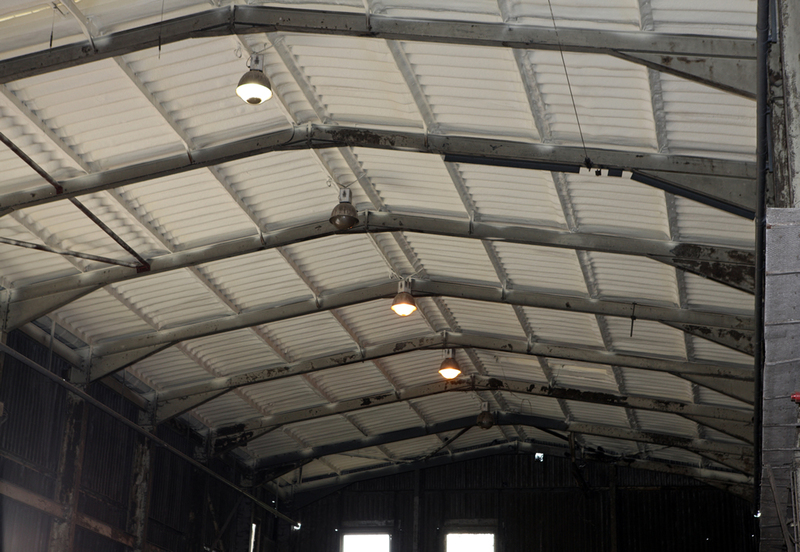 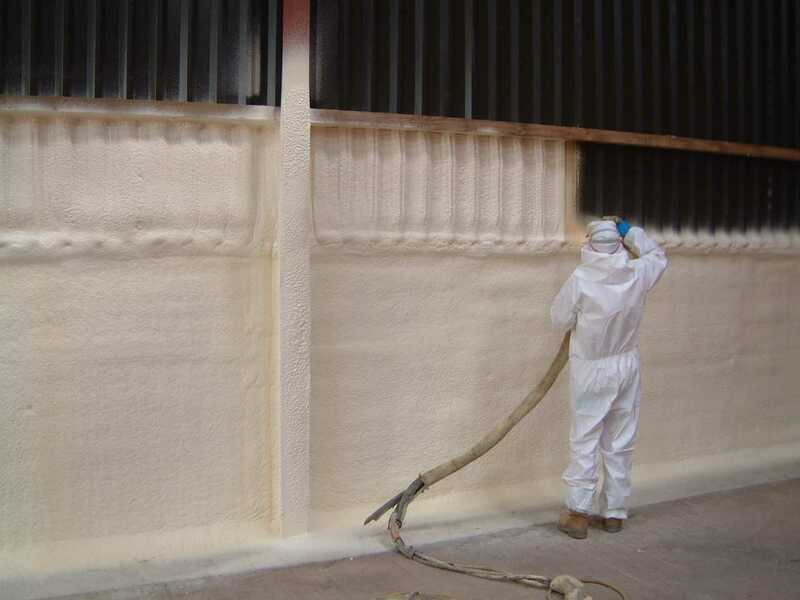 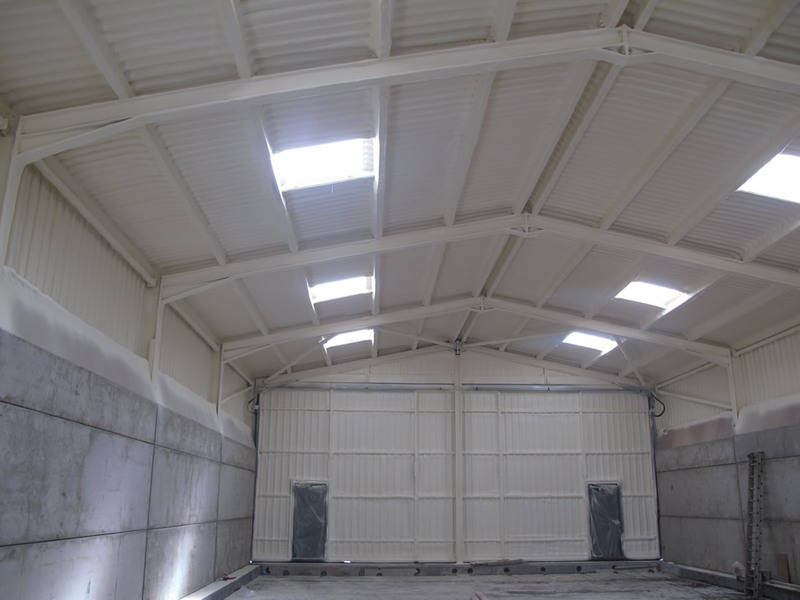 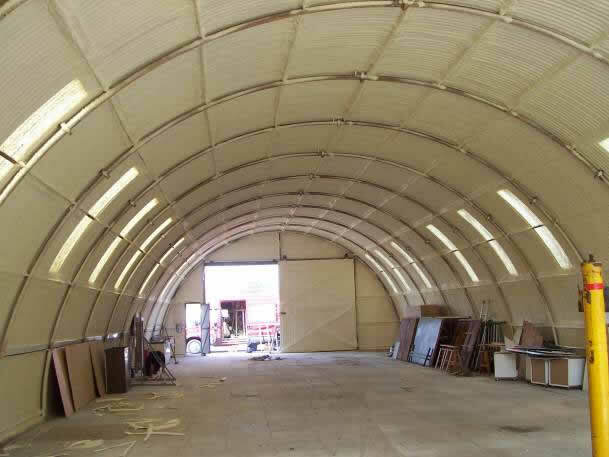 Used in factories, warehouses, offices, exhibition spaces and agricultural buildings spray foam provides improved thermal performance through insulation and also to prevent draughts. 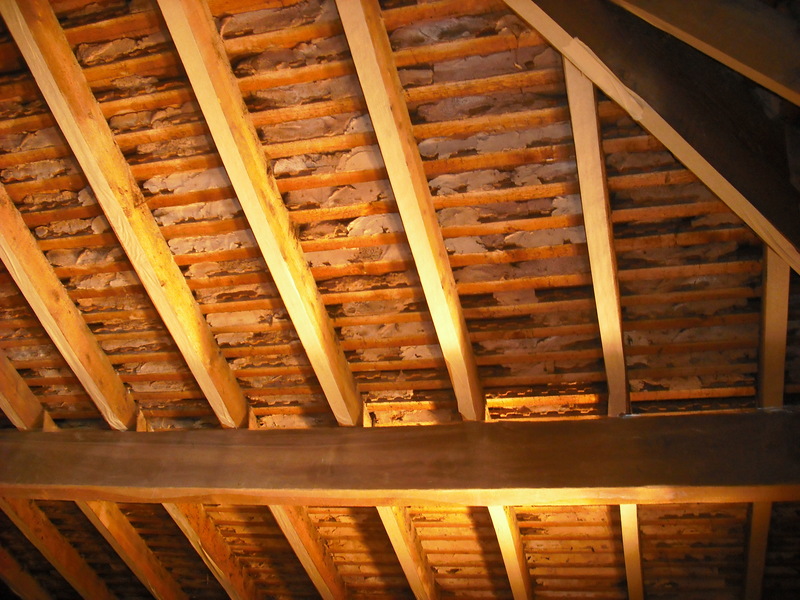 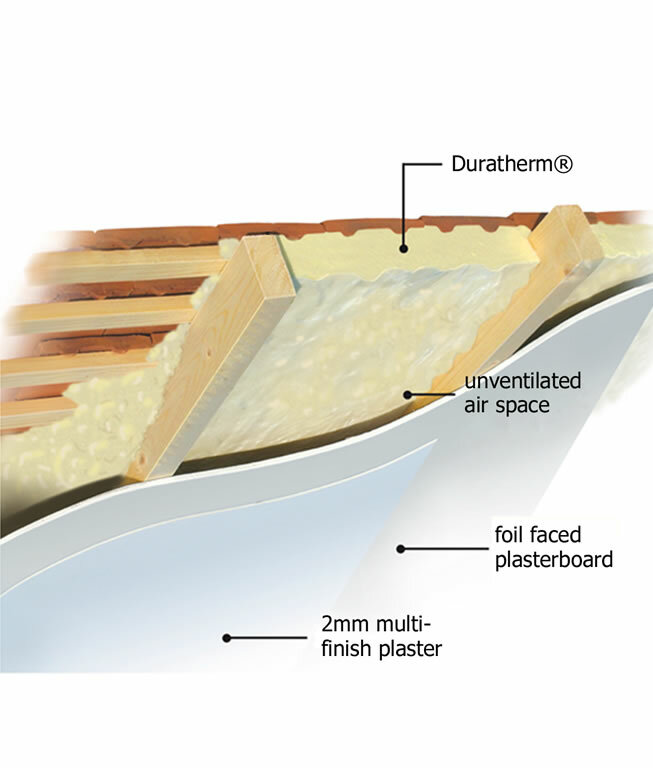 Provides Class 1 Surface Spread of Flame insulation for soffits with the option of Class 0 with the addition of an intumescent coating. 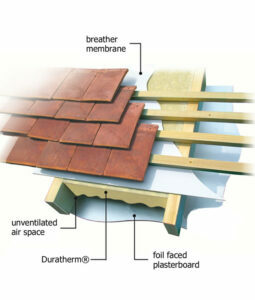 Prevents surface and interstitial condensation. 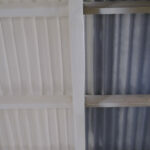 Can be used to encapsulate asbestos. 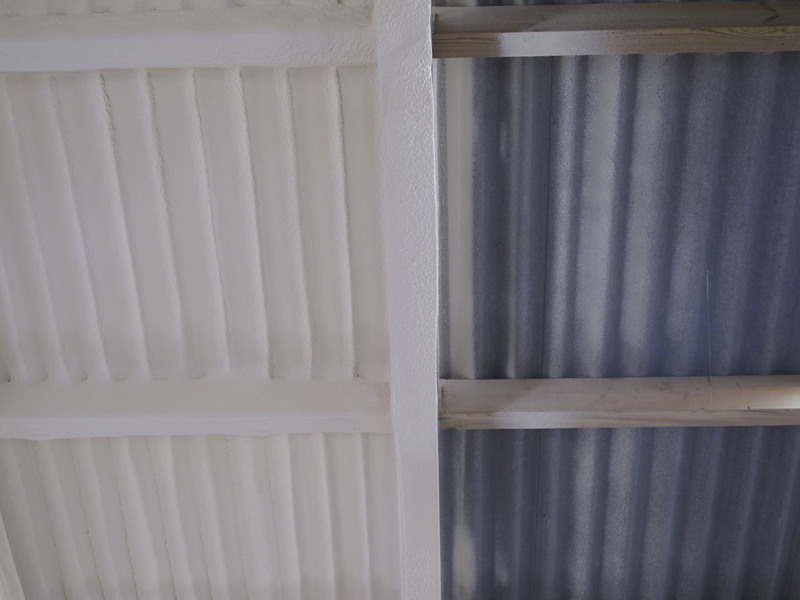 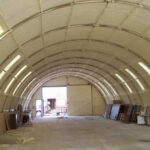 Spray foam allows you to insulate irregular shapes and surfaces. 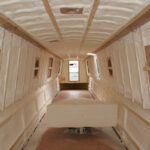 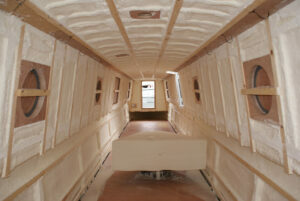 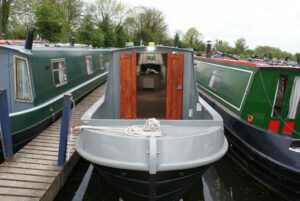 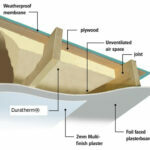 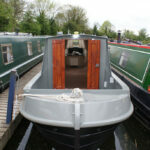 Provides insulation to canal boats and barges to allow for conversion into living accommodation. 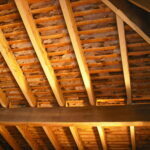 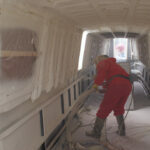 Prevention of condensation which reduces internal rusting of hulls and surfaces. 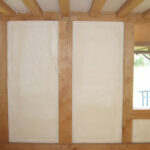 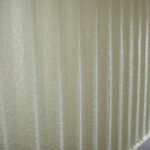 Our spray foam meets building regulations were required. 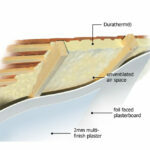 Thermal efficiency is improved with Lambda or K value of down to 0.025W/M2K.